If you’re like me, you’re reasonably concerned about your health. You eat right, avoid junkfood as much as possible and exercise as frequently as you can. If you’re like me, you like to zone out when at the gym with music in your ear and workout plan in your head. If you’re like me, you have likely have had your mp3 player fall out of your pocket and/or lost one of those silicone earbud pieces at some point, thus forcing you to use your back-up pair of minimalist headphones (aka earbuds). How is it that the world’s most successful mp3 player maker has failed to make decent earbuds? I, unfortunately, tend to go through a pair of earbuds about every 18 months through one way or another. The latest was losing one of the silicone ear-cups when heading to an information session for a PR firm here in Toronto. The previous pair of earbuds (Philips SCH5920 which were AMAZING earbuds) were ruined after their 90º plug decided it had put up with enough abuse. And the pair before that? loss of silicone earcups! If it’s not one thing, it’s the other! Loss of the silicone ear cup has forced me to use my back-up earbuds. 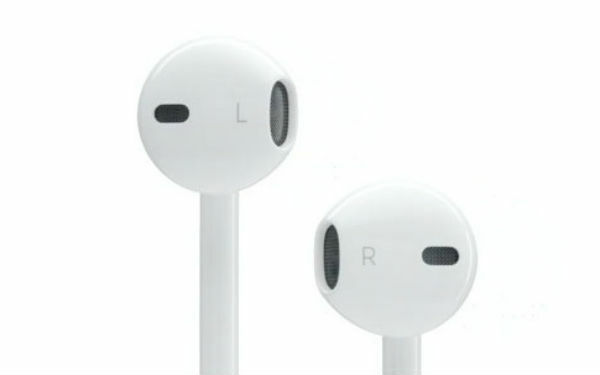 The Apple-made, supplied-with-your-iPhone, white and gray ear-buds. I absolutely despise these things. To me, in a rather ironic way, they represent the exact opposite reason of why I dislike Sony products. I grew up with several Sony products (walkmans, discmans, headphones**, earbuds) and what I found is that none of their products had much life to them – especially the earbuds. Where Sony prevails is in the fit and sound quality of their earbuds. 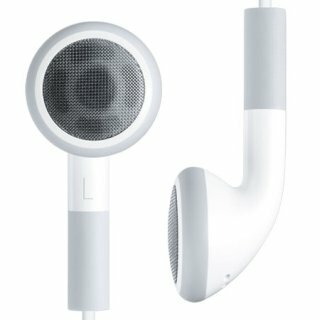 Apple, arguably the world’s most successful producer of MP3 players, also makes some of the worst ear buds in the existence of the history of personalized audio-listening. I’m sorry Apple, but you really do. And I think I know why you do… it’s because you have not paid attention to this particular aspect of the market. Maybe you did this because it would invariably mean pushing some customers to buying Beats by Dre from your Apple stores. Maybe not. I don’t know. Now, given that while the fit of my beloved little Sony EX10’s was not the most ideal I am consigning myself to the reality that I will likely replace them with another pair of Sony earbuds. Right now, I’m reflecting on how the apple earbuds drive me crazy and what makes them so terrible, fit wise and thinking that while better, I had to constantly readjust other earbuds during workouts. What timing! Bestbuy has a pair of Sony sport clip-style earbuds on sale right now! Advantages? Ear clips are detachable, headphones are sweatproof, plug is gold-plated and they’re on sale! The only way they could be more enticing is if they were also bluetooth. Now, the only other way to make my music-at-the-gym experience even better is if I had an armband. I think I’m gonna have to go the DIY route for this one. To fulfill this function, I found this great little vid. Unfortunately, as much as I love my minimalist headphones pumping out minimal techno, I love my minimal socks and minimalist footwear, which means I do not possess the necessary item to do this DIY option – a tube sock. So clever, it’s practically stupid. I’m wondering if the Dollar store will have what I need. I’m even tempted to take this idea a step further and maybe bring said project to my mom’s, to use one of her fancy knitting needles to whip-stitch the cut-end. You’re probably thinking – Aren’t you concerned about the looks you’ll get for wearing a sock on your arm? The answer is no. I wear Vibram Komodosports. People looking at me wearing a sock on my arm is the least of my concerns. I’m not at the gym to make or lose friends. I’m there to work out. 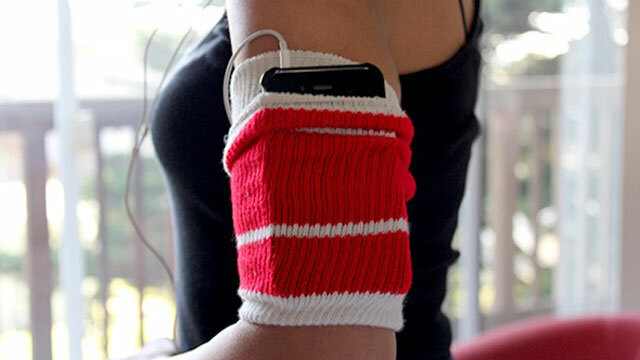 And after I buy a new pair of earbuds and a tube sock, I’ll be there to work out harder and smarter. And since I never talk about tech things directly, expect my next entry to be a review of my new headphones. ** – I do have a pair of Sony MDR-V500’s, which were a christmas present given to me by my parents over 10years ago. I still use them on occasion, even though the covering on the earcups has long since frittered away. These headphones have outlived pretty much every other electronic item I have owned in the last 15 years. This entry was posted in Best Practices, Critical Thought, Mobile, Music, tech, Technology and tagged 10K, 20K, 5K, apple, armband, Beats by Dre, diy, ear clips, earbuds, earclips, earcups, earpod, earpods, fitness, headphones, health, iphone, ipod, jabra, jaybird, jogging, mp3 players, philips, silicone, sony, Sony MDR, sweat-resistance, working out, workout. Bookmark the permalink.